Sort of a Celtic version of our American "a Prairie Home Companion". Well done with lots of skits and songs. 1001 thanks and keep up the good work! Great! Please make older shows available! I'd like to download older shows, especially the drinking and bawdy shows, but there is something wrong with the server. I can't get any old ones! Please fix this! It's such a great podcast and collection of songs that I want more! I love this podcast so much. 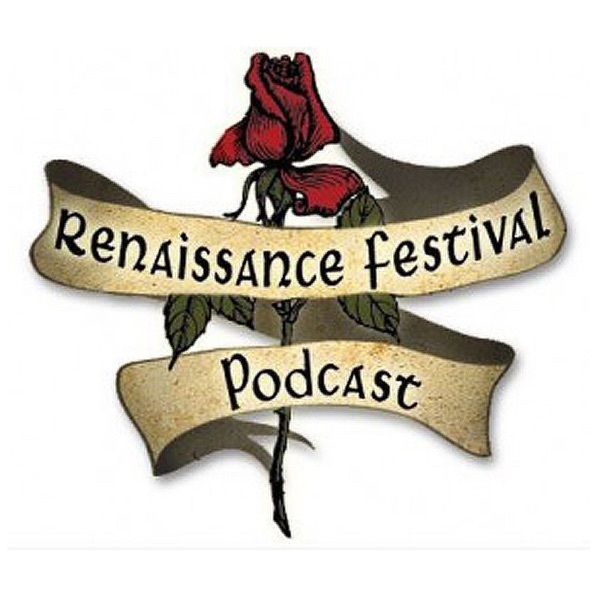 I worked at my home towns ren fair and lessening to this podcast is like going home and if you have ever been to a ren fair you know that it's not always PG or even PG13. This podcast used to be very enjoyable, but now with the increase of sexually suggestive songs, I cannot even let my family listen to music I grew up enjoying because I constantly have to censor the material. Yes, I know there is an explicit tag, but would a warning at the beginning of the episode be too much trouble to state which songs have explicit content. I will keep listening for my pleasure, but if the content keeps increasing in questionable taste, I will cease to subscribe to this podcast. This is by far my favorite podcast. Even though they follow a specific genre of music, the variety of what they play is mind blowing. Seriously, if you only listen to one podcast, make it this one!!! Fantastic music, hosts, and information on ren faires. I first started listening to this podcast nearly 6 years ago when a friend of mine, a ren faire performer, gave me 2 CDs he had burned with 2 episodes. I listened to them on my way home and fell in love with the podcast. If you like celtic music, ren faires, and silliness, this is the podcast to listen to. It also helps me get through the long Winter, reminding me of Spring and Summer. I have loved the pocast from the start but even with a high speed connection it is taking to long to download an episode. The latest epsiode #185 I don't think I will ever donwload. After 30 minutes i was not even 50% complete and was being told I have another 1 to wait. Nice podcast but due to the download times I am seriously thinking of telling this podcast goodbye for good. Marc Gunn is the Best! Marc and Kristin are dedicated to providing us with great music and awesome interviews. I just wish it was a new podcast everyday! There are some that I actually listen to over and over again and I never get tired of them. I buy many of the albums from the musicians on this podcast. Just this sentence will sum it up....I love you guys! A very fun podcast, slightly addictive. I love this podcast Marc, Kristen, Joe, and Matt make this the only podcast I listen to religiously. I love the interviews, wish more of the interviewed bands would do a song or two. We need more bawdy specials. One of the best podcasts I have had the pleasure of hearing. If you love the renaissance festival or even celtic inspired music, you will love this podcast. Marc does a great job of showing casing a nice variety of independent acts. I have followed Faires now for 17 years and I am still hearing new artists. They also now include really cool interviews by independent acts and artisans that work the Faire circuit. Highly interesting indeed. I've been listening to this podcast for quite a while. I have listened to all the episodes from the beginning. The podcast had continually improved over time. One time I was remembering a song I heard in an earlier show but all I could remember was that to song was about 2 sisters named Ramona and Liza. I wrote an email to their website and I got an e-mail back from both Marc and Joe. Joe was able to tell me what song I was looking for. It was ("Cyrus in the Moonlight" by the Empty Hats) This is a great podcast that always has more music than talk. (that's always important) CHECK IT OUT! Definitely worth subscribing to if you like Renfaire music, at least for a little while. But after the last two years, I think I've heard every single song they have permission to play at least half a dozen times. There's just not enough material out there to keep the podcast fresh for an hour every few weeks year after year. And I swear the audio quality gets worse and worse with every new release (sorry Joe, but you REALLY need new equipment). Awesome podcast. I really love it. I would give it more stars, but they don't update except what seems like once or twice a year. I WANT MORE!!! Makes the wait until the next Renaissance Festival easier while giving me access to artists that I would have not heard at my local fair. Marc and Kristen are the best! I am buying all of his itunes music to support him. His podcasts are great, and he does it because he loves it and that shows. He seems to be a genuinely good soul who loves cats! But best of all, his music is like none you will find anywhere else. It is light and humurous, and just plain fun! Especially after a few pints, eh? Great work Marc! Kudos to Marc, Kristen, and Joe for putting together such great mixes of music. There are bands that I have heard for the first time, and they have become favorites in my daily listening choices. Please keep up the good work - and for a personal favorite, shows like number 100 should be done every few months (not for the imbibing, but the extended list of music. Thank you! Marc, Kristen and Joe for all the hard work you do to put this wonderful podcast together, the music is wonderful it is so good to be able to hear old favorites and get new favortes from bands that don't perform at my local faire. This has to be the best pod cast for anyone for who considers themselves Renaissance festival lovers. Excellent podcast. It has a great mix of music. It's introduced me to many artists and songs that I now love. The show notes on their website are really useful too. This podcast makes everyday feel like a Renaissance Festival! I've discovered some wonderful music I may have never heard and had a lot of fun along the way. I don't think Marc ever sleeps. In addition to his concert schedule he has no less than three podcasts and all of them are great. The only negative drawback to this one is his occasional co-host. It seems that her usual purpose is to giggle almost constantly. A bit annoying after a while. Otherwise I recommend this. Good and various selection of music. Keep up the good work Marc. Yeah I just checked this podcast out as somehting to do and I love it. One thing through. I wish the guy wouldn't spend five minutes hyping his own band every week. I love this podcast. It always makes me laugh. However, rather a lot of the ones I've downloaded are coming up 2 minutes or 10 instead of 30-50 minutes. Is this an Apple problem or is only half or less getting posted? It's leaving me in suspense as to what happens in several songs. The 50th episode celebration was brutally chopped. All Marc Gunn's podcasts are great. Prescription: Subscribe to chase away Ren Faire withdrawal! As always, great music, great information. Marc (sick, twisted, cat-loving freak that he is!) and Kristen (She can read the yellow pages to me any day) know their stuff, are willing to throw out the new/unorthodox/hidden under a moss covered rock for decades, and throw in some great background info as well. Talk to music ration is just right. Hosts are entertaining without being annoying, had me chuckling a lot (especially talk like a pirate day in #60). Good listening. Never anything less than excellence. The musical selections are eclectic and always good. I subscribe to several podcasts relating to Renaissance, Celtic, and Irish music, but as I indicated in the title, this is the best of the lot. If you have even a passing interest in this type of music, do yourself a favor and subscribe. This is the first podcast I ever subscribed to, and it is still my favorite. Marc and Kristen do a great job of introducing new music. A nice mix of different artists. Focuses on the music, with just enough commenary between the songs. Missing Faire? This podcast is the place for you. Marc Gunn brings his listeners the very best in Renaissance Faire music from musicians and performers from all over the country. Whether it is a general podcast or a specialty show, listeners will find old favorites and new. What a wonderful podcast. When I got into podcasts this past summer, this was one of the first that I downloaded. I haven't missed an episode yet, even though Apple seems to have stopped updating their offerings. Marc Gunn has a website where you can the the most recent shows as well as full show notes. He also has other podcasts that he hosts. The music is fun and it is good quality. He has a knack for hunting down good, new and different. Don't miss this one.